I’ll start this article off by saying that I am a big NFL football fan. I have been watching the NFL on TV since I was in kindergarten when I would watch the games with my grandfather, who I called Papa. All growing up I was a Dallas Cowboys fan and most of the time you saw me I was wearing a Dallas Cowboys t-shirt or cap/hat. That was till it was baseball season at which time my sporting attire was that of the Los Angeles Dodgers Major League Baseball (MLB) team. Anyway, back to football. 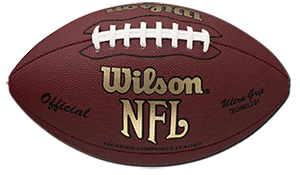 I have been an NFL fan all my life and even though I don’t get to watch as many NFL football games as I used to or would like, I still like to catch as many of the post-season (Playoffs & Super Bowl) as I can and especially the NFL Super Bowl. This year I didn’t get to watch that many NFL football games so come time for the playoffs, I made every effort to get my NFL fix and watch as much as time would allow me to watch. I didn’t get to catch all of the playoff games as I usually try to but I did get to watch several. The playoff games that I did watch however were not as exciting as I would have liked, but hey, it’s still an NFL game with a chance to play in the Super Bowl at stake so I still enjoyed them. After the last NFL playoff game had come to an end, there were the two teams left that would get a chance to play in the NFL Super Bowl this year. The Seattle Seahawks and the New England Patriots (My daughters favorite team) were set to battle in the NFL Superbowl XLIX (49) to claim the 2014 seasons crown. The Seattle Seahawks are looking to claim their second NFL Super Bowl victory ever, after winning their first NFL Super Bowl last year. The New England Patriots are looking for a little redemption after losing their last two Super Bowl appearances to the New York Giants, Super Bowl XLVI (46) and Super Bowl XLII (42). 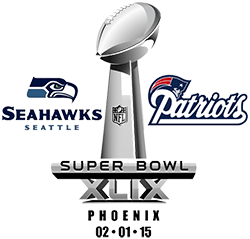 This years NFL Super Bowl XLIX (49) should be a great one to watch and enjoy. The Seattle Seahawks are looking to show their doubters that last years NFL Super Bowl XLVIII (48) victory was not a fluke and they are the real deal. The New England Patriots and their quarterback Tom Brady are also looking to hush some doubters. The New England Patriots, and especially Tom Brady want to show everyone that they glory days are not behind them and they are still a Super Bowl contender every year. Will the Seattle Seahawks and their young quarterback Russell Wilson claim their second NFL Super Bowl in as many years? Will Tom Brady and the New England Patriots hush their critics and claim another NFL Super Bowl victory? In about a week from now we will know the answers to these questions. Good Luck to both the Seattle Seahawks and the New England Patriots, give us a good Super Bowl to remember! UPDATE: The New England Patriots have won this years NFL Super Bowl. My article on that is right HERE! Do you have a question or comment about this article or the NFL Super Bowl? If so, please leave me a reply at the bottom of this page. Previous Post: Keep Your Eyes On The Road Or Else! Next Post: Congratulations to the New England Patriots!